[The Note] Single-pass versus multi-pass scanning textile printing: what is the difference? Throughout the years, digital textile printing has developed from 'suitable for sampling only' technology to high-speed fabric printing for production. Innovative techniques have resulted in acceleration and improvement of the digital printing process creating more and better possibilities for textile printers. 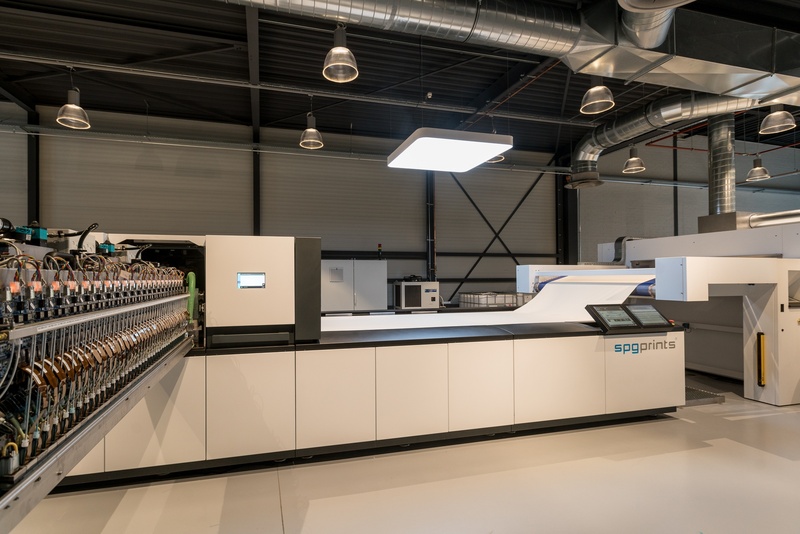 These innovations have contributed to the creation of the two main digital printing techniques that are used nowadays: single-pass and multi-pass scanning printing. What is the difference between these two printing techniques and how do you decide which technique best fits your and your customer’s wants and needs? Multi-pass scanning textile printing shows some resemblance with the inkjet printer that you use at home or at the office to print your documents. Multi-pass scanning textile printing means that the printer heads move from left to right over the substrate (hence the name 'scanning'). After moving along the whole substrate, the printer heads move forward and start printing another horizontal bar, but this time they move from right to left. All these horizontal bars (partly overlapping, hence the name 'multi-pass') together create the whole design. An advantage of multi-pass scanning printing is that you only need a few print heads to print your designs on fabric. Since print heads are quite expensive, choosing multi-pass printing can help you minimize the investment you have to make when purchasing a new textile printer. The main advantage of multi-pass printing, however, is that an error that might occur in one pass of the print heads, is masked by the next pass of the heads over the same part of the design. So the more passes, the more likely that individual print errors in one strike are masked. Obviously, the main disadvantage of multi-pass printing is the reduction of speed: the more often the print heads have to move over the same fabric area, the lower the speed in linear meters for the printer. Furthermore, the fact that the total image is created by printing multiple layers of image on top of each other, will reduce the overall sharpness of the image because a minor mispositioning of one layer to the others will lead to a lesser sharp image. Single-pass printing is a newer printing technique that enables faster printing at a higher quality. The fast speed is thanks to the many print heads that are used for this technique. Instead of having a few printer heads moving from left to right over the substrate, single-pass printing uses multiple printer heads which are positioned along the whole width of the fabric. This enables faster printing since the fabric moves at a constant speed through the printer and the total image is created in one pass. Two important benefits of single-pass printing are the high production speed and the high sharpness. As there are no multiple layers of image that might miss-align, the image is always crisp and sharp. A single-pass printer can print up to 40 linear meters per minute, whereas a multi-pass printer cannot produce more than a few linear meters per minute. A disadvantage of single-pass printing is the high initial investment. Single-pass printing is more expensive than multi-pass textile printing because of the many print heads that are needed to cover the whole width of the printer for each color. Print heads are costly components, so the more printer heads there are incorporated in the machine, the more expensive the machine will be. Using single-pass printing, therefore, requires a large investment. Secondly, all print heads need individual drive electronics, which also contribute to a higher cost of the printer. Using single-pass printing, therefore, requires a large investment. Another important factor to consider is the fact that it is intrinsically more sensible for print head errors. When one of the nozzles gets clogged, no ink can be printed on the substrate which will create white stripes in your design. On top of that, the lanes have to match up precisely to create a high-quality image. If the printer is not properly adjusted, this will also result in white stripes. When choosing a digital textile printing technique, there are a few questions you have to ask yourself. The first question should be: how much volume do you want to print with the new printing technique? If you’re printing between 0,5 to 1,5 million meters per year, multi-pass printing best fits your production process. Do you want to print between 4 and 20 million meters per year? Then single-pass printing helps you to reach the desired speed for producing large quantities of textiles. A second important decision factor is the amount of money you want to invest in a new printing technique. 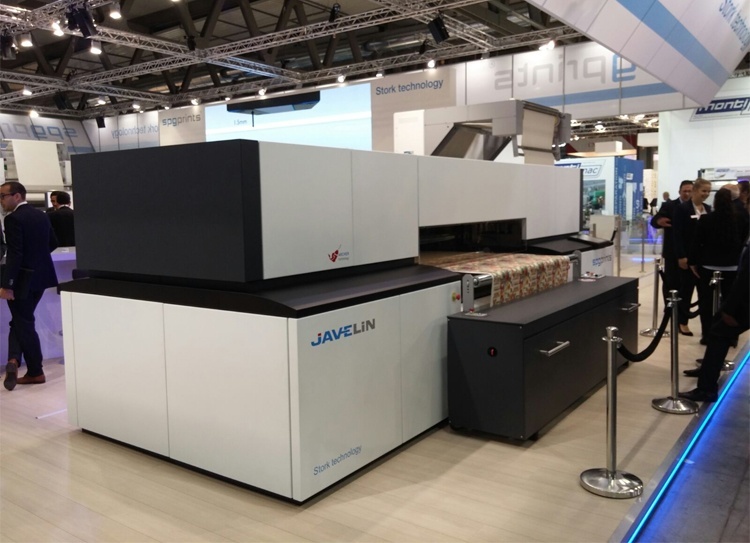 Since single-pass printing requires a substantial investment, asking yourself this questions helps you to realize if single-pass printing might be an option for you. The last decision factor is flexibility. Do your customers require you to be very flexible in the type of fabrics to be printed? If the customer wants to change the fabrics then, multi-pass printing can be a suitable technique for you. Single-pass printing, on the other hand, enables you to print large quantities of an virtually unlimited amount of designs on a limited amount of different fabrics. Do you still find it difficult to choose between these two digital textile printing techniques? Two of our customers faced the same problem. Adalberto Estampados wanted to keep up with the growth of fast-fashion and meet their customer’s demands. Turkish printer Tekboy Tekstil, on the other hand, wanted to meet demands for shorter-runs, rapid-turnarounds, and on-demand sample production. [The Note] How to choose between a single-pass and multi-pass digital textile printing machine?